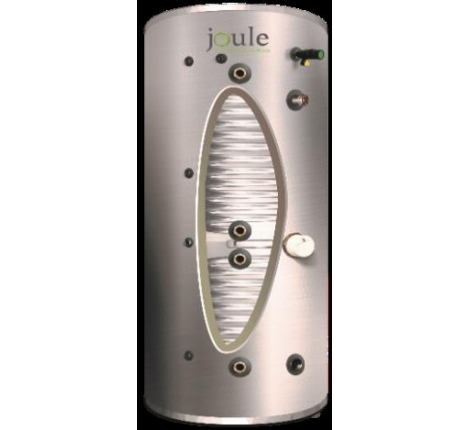 Joule Cyclone Heat Pump Cylinders have been designed to work with Air Source, Ground Source and other types of low temperature heat source appliances. The Cyclone Heat Pump Cylinder is manufactured with coil in coil technology, which allows for great surface area coils to be installed to standard sizes cylinder unites. The inner coil dissipates the heat at lower temperatures improving the efficiency of the overall system. These cylinders are available in both Indirect and Twin Solar varieties. These cylinders all come with the relevant G3 components and accessories. Please contact us for more information, or alternatively see the attached datasheet.